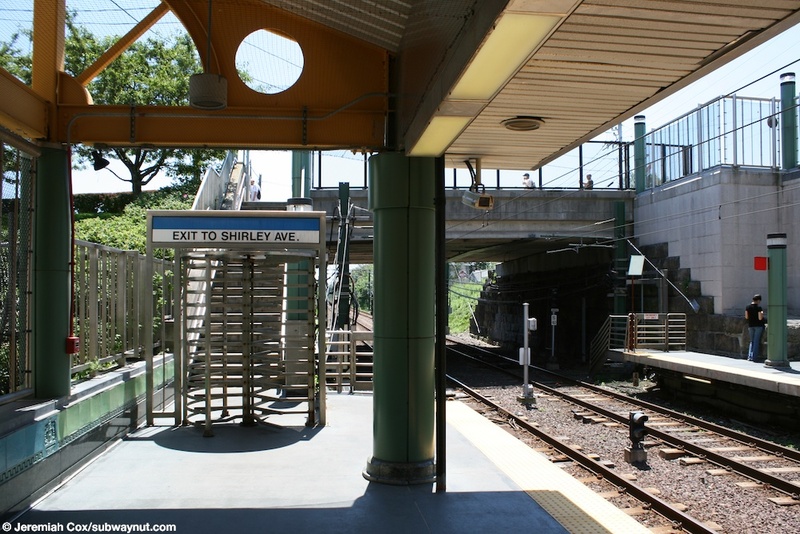 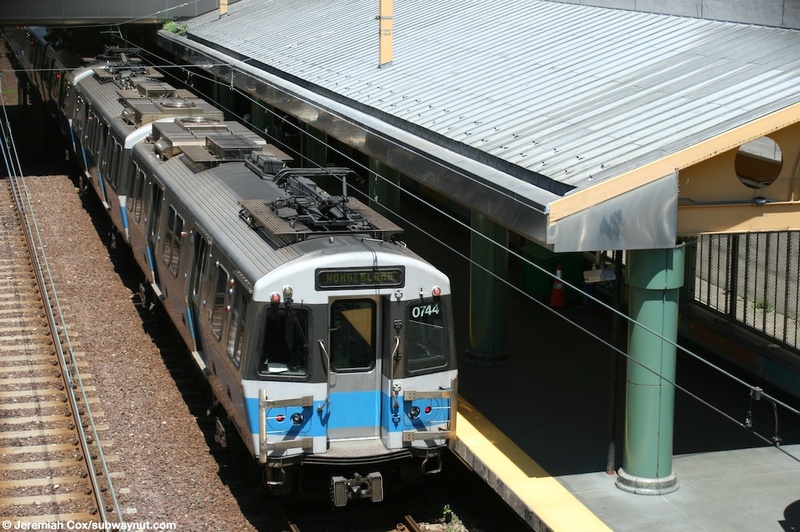 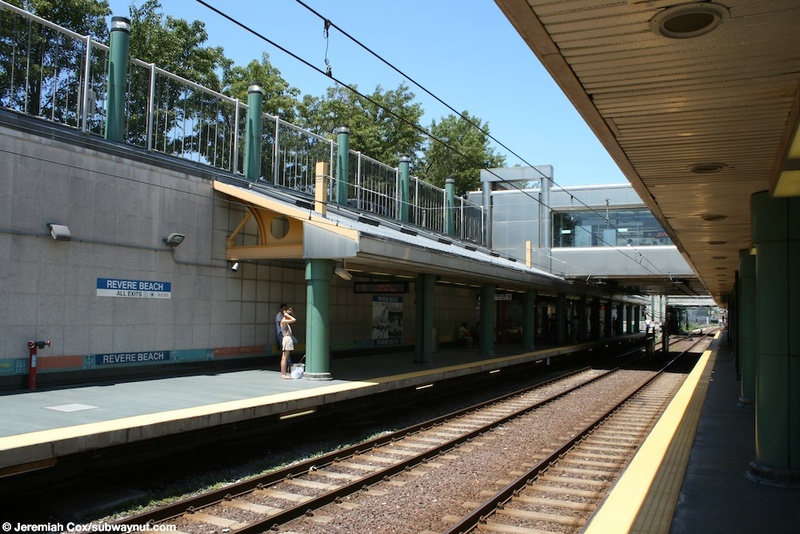 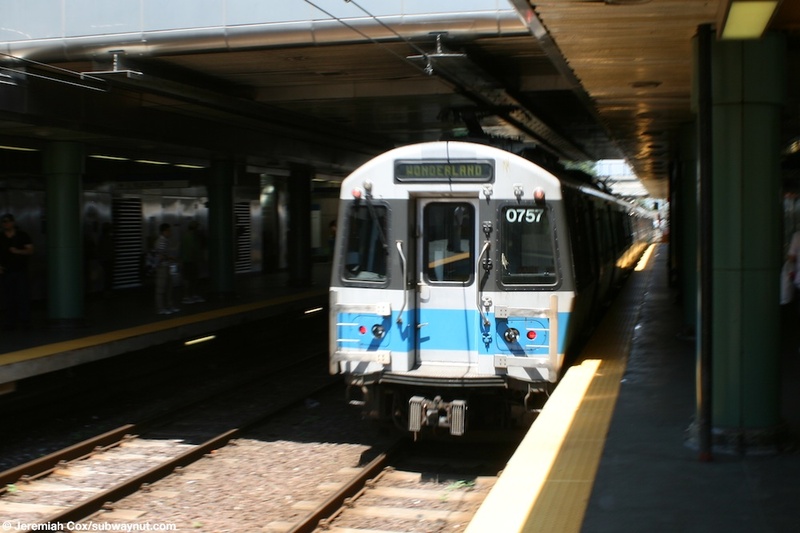 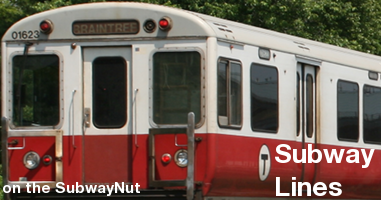 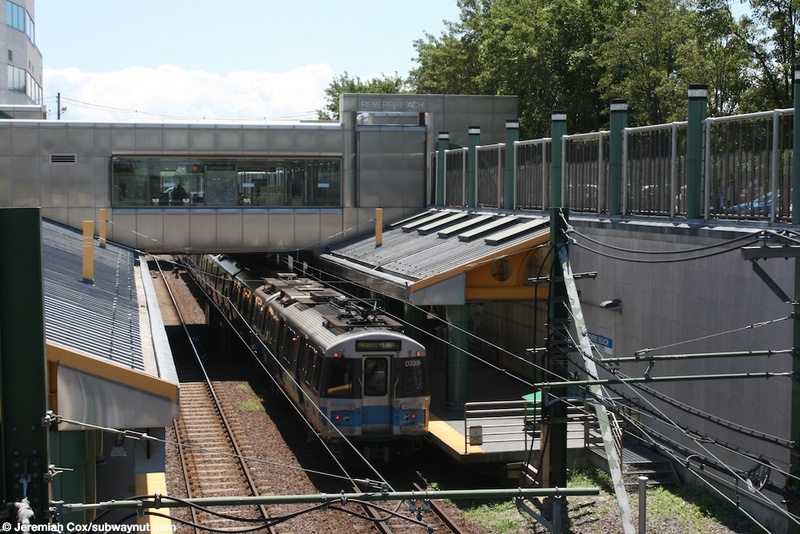 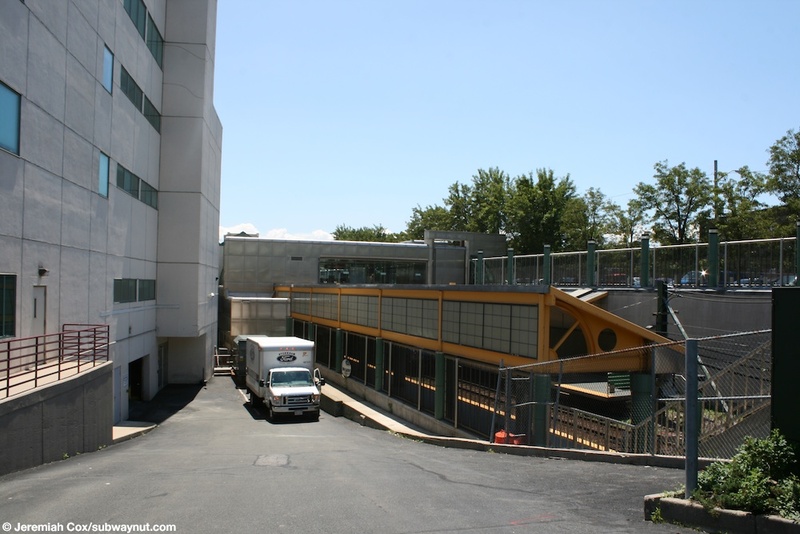 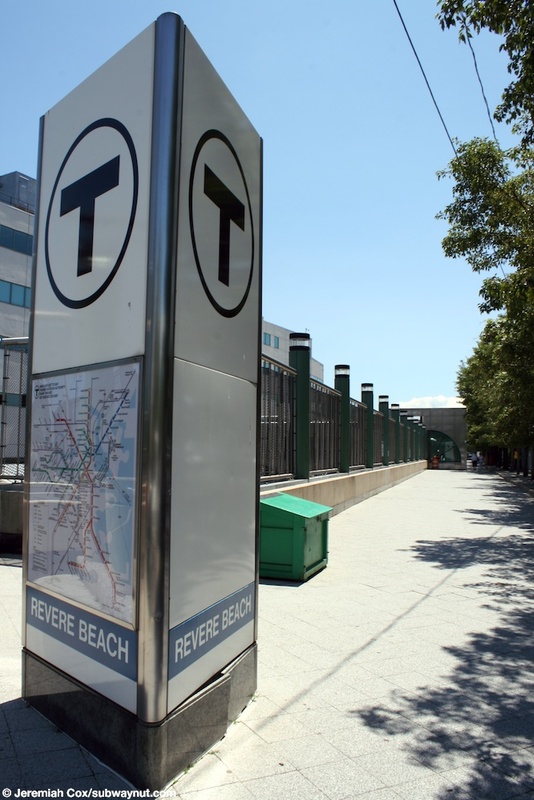 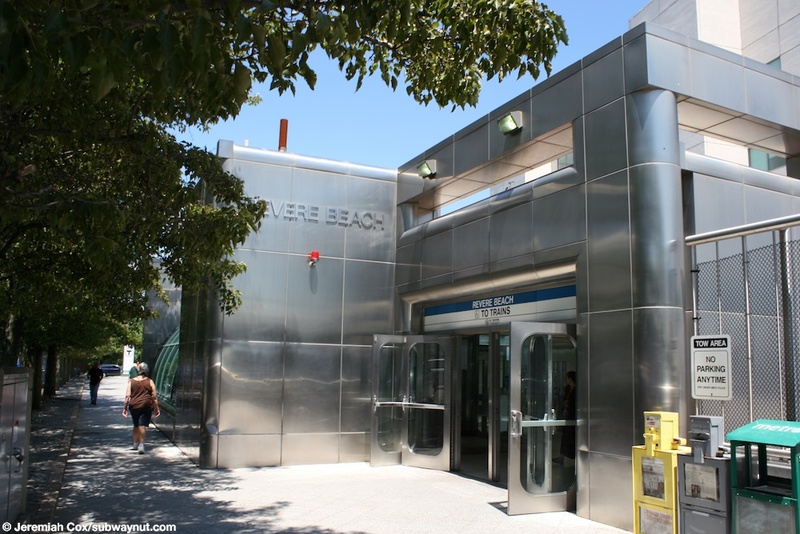 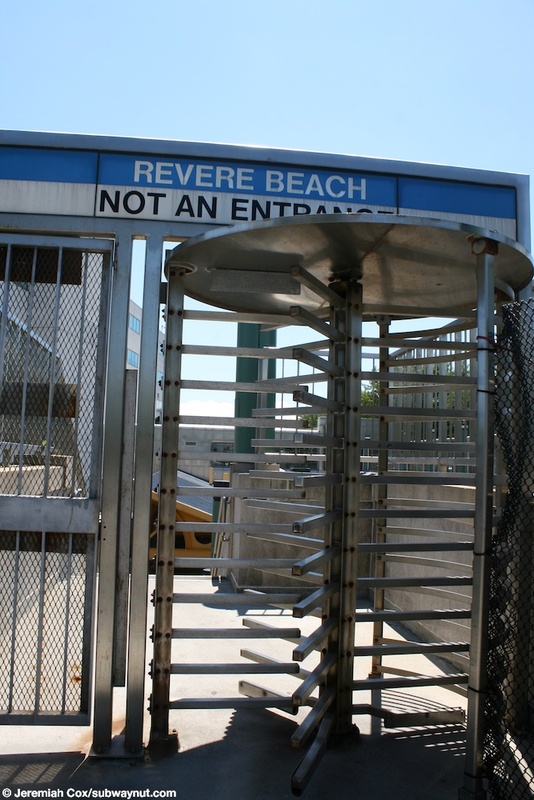 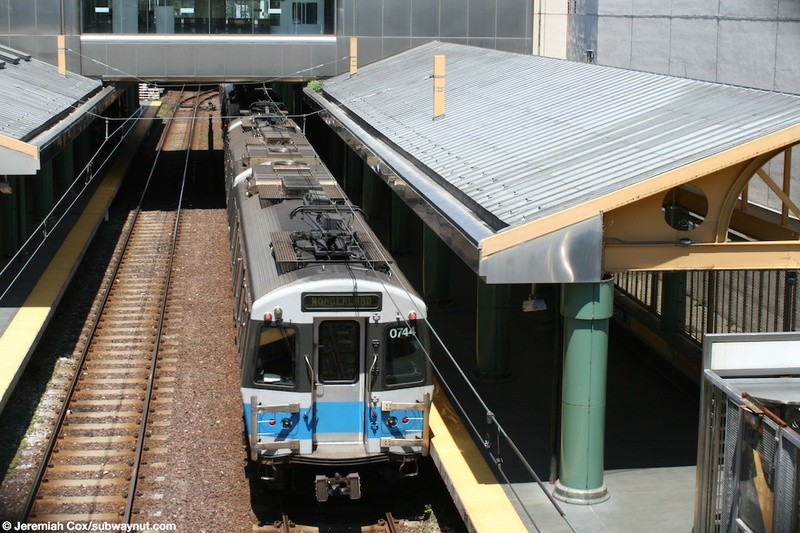 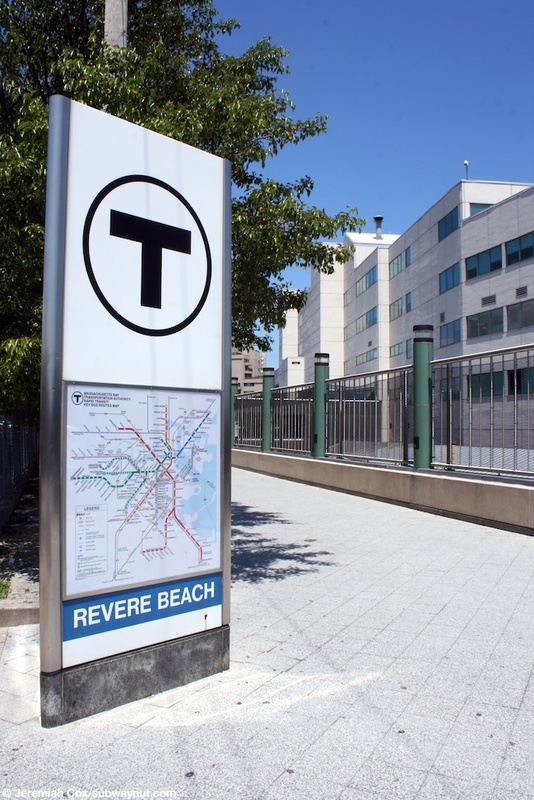 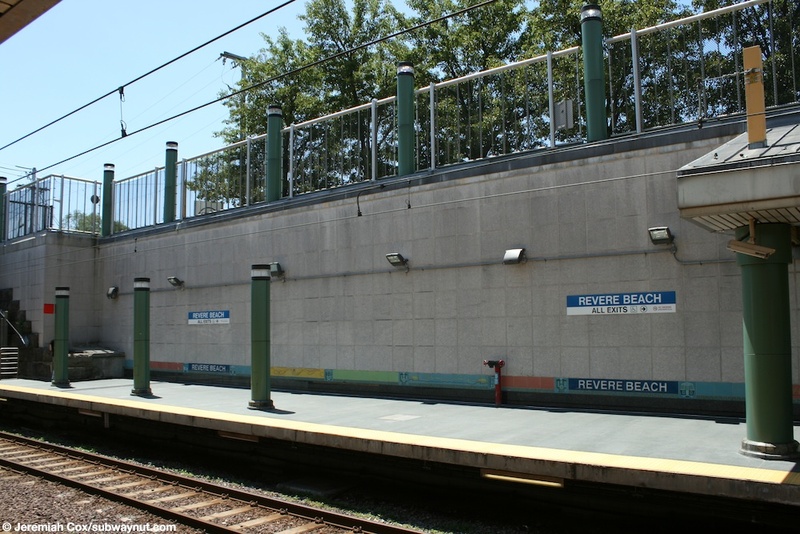 Revere Beach Station is located in the town center where the line is in an open cut. 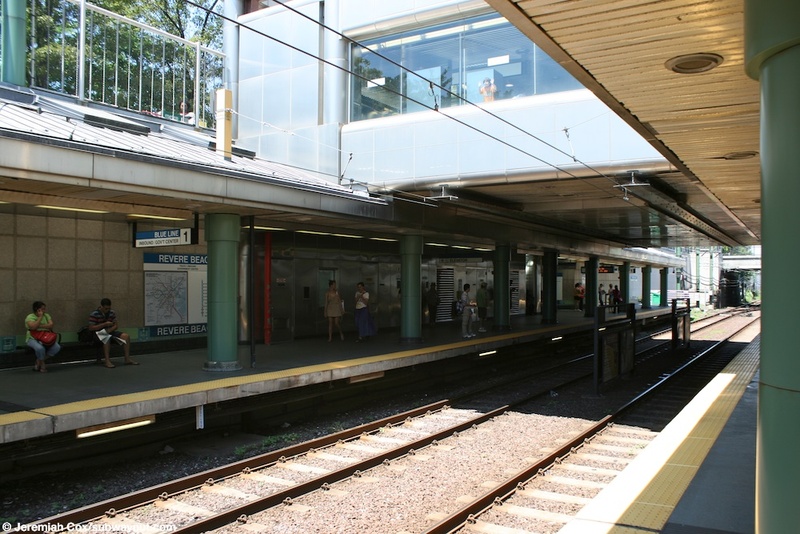 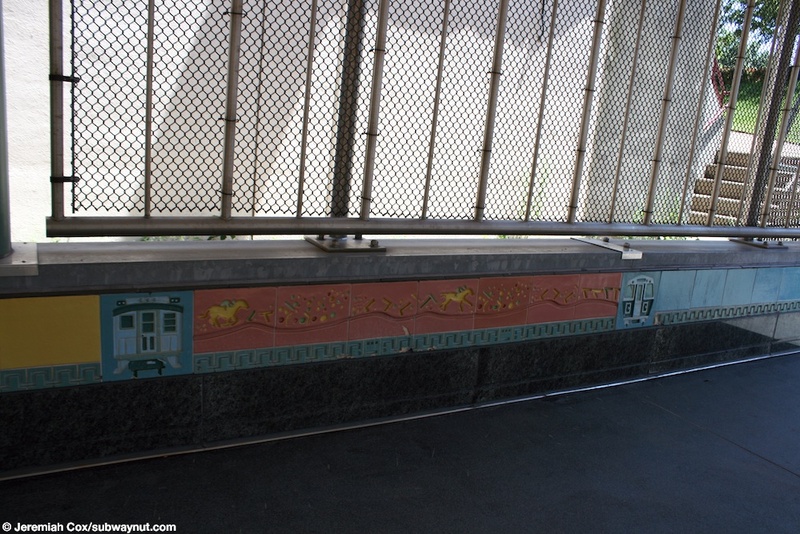 The station has two side platforms that are canopied for most of their length with concrete walls and a decorative relief line at almost ground level with depictions of coal locomotives, modern trains, and trolleys. 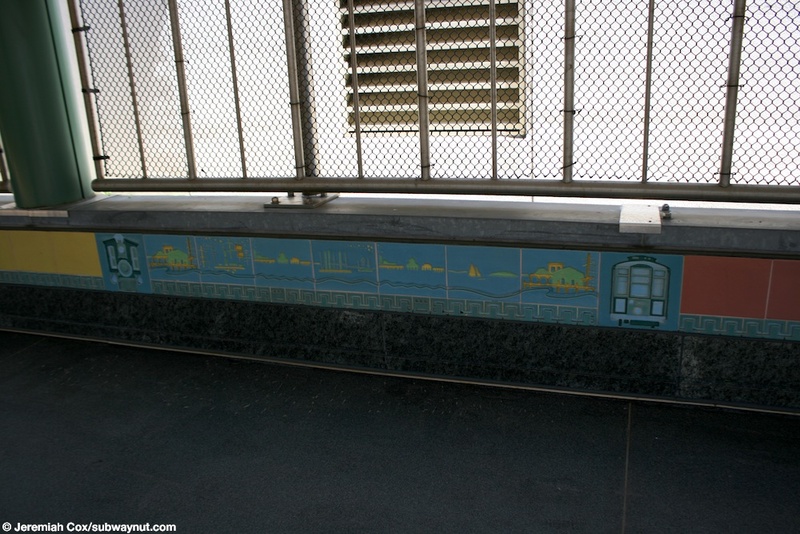 There are longer lines with other colors and images inbetween (the next stop south, Beachmont also has the same decorations). 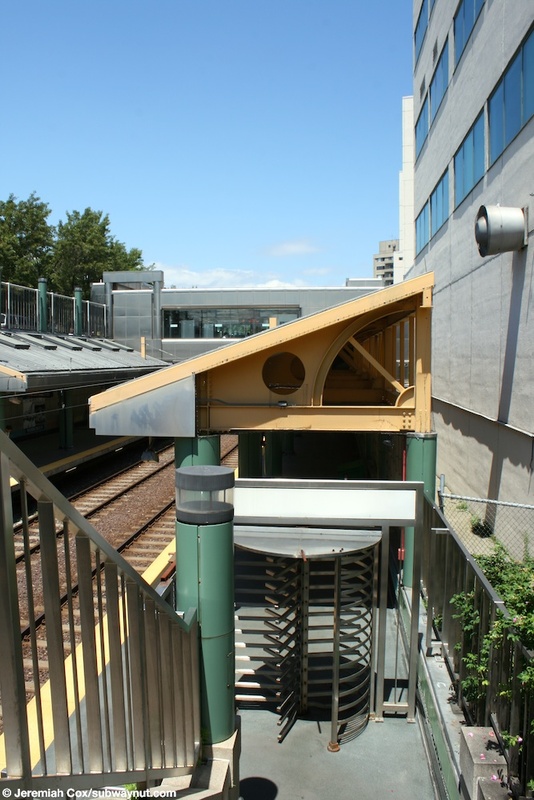 For access there is a central fare control area with the fare gates that leads to an elevator and stairs down to each platform. 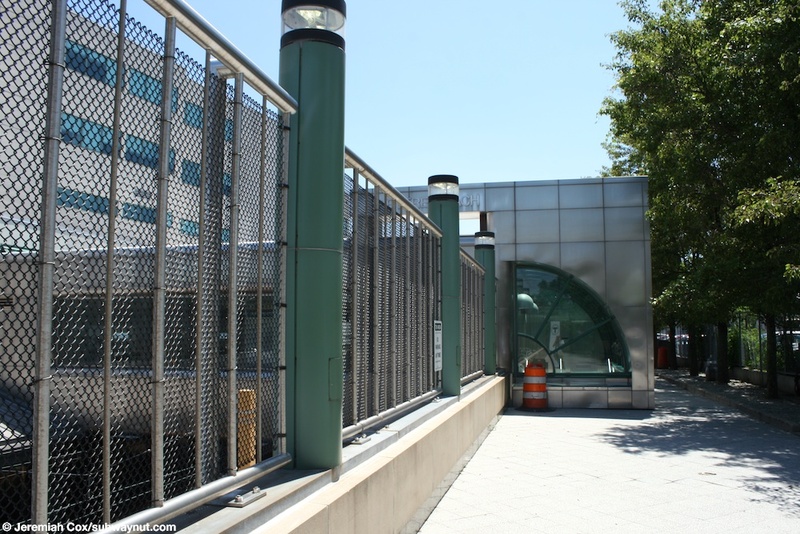 Access to this central enclosed fare control area is via a pathway running alongside the inbound platform and through the lobby (seems to be open to the public) where a Duken Donuts is of tne MGH Revere HealthCare Center. 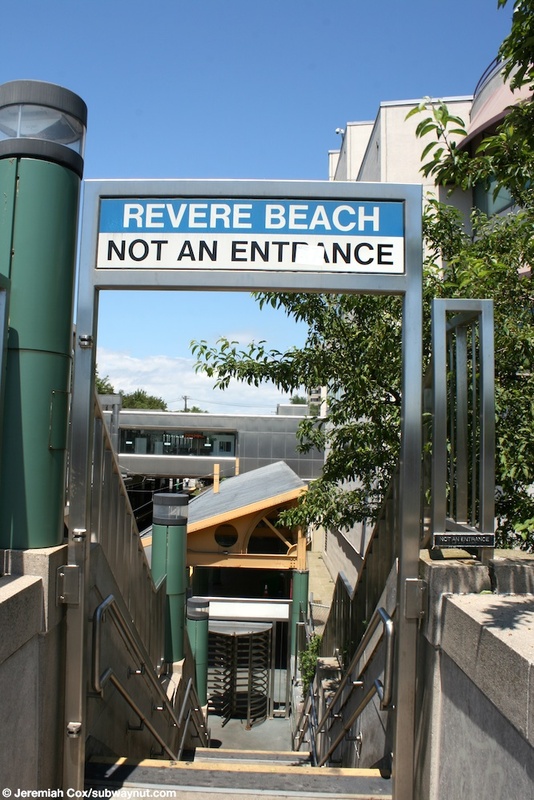 This exit is signed in the station as Ocean Avenue (beyond it is a park and the beach) reached by passing through the heath care center's lobby. 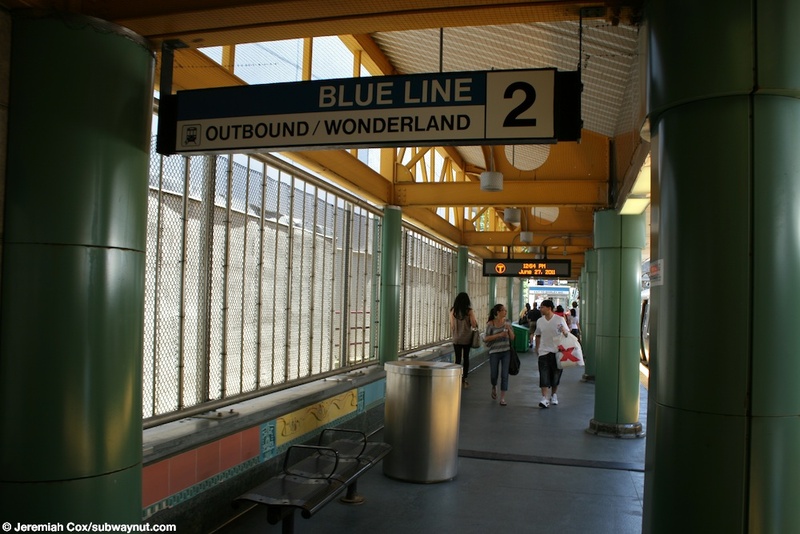 At both ends of the outbound platform there are high exit turnstiles that lead to the streets that pass over those ends of the station. 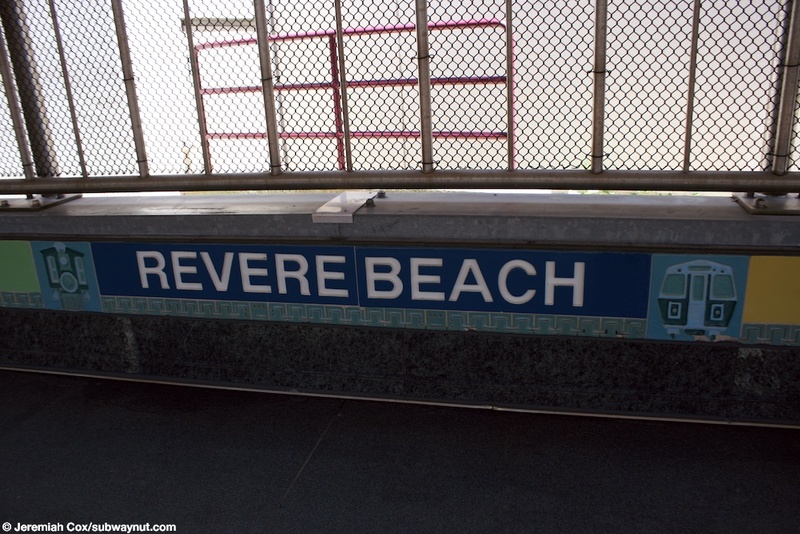 North is Beach St and south is Shirley Ave.